The car is a mixed bag. The paint looks good, but the rear shocks, exhaust, front suspension, engine, etc show signs of repainting/fluffing. The disc bracket is still dichromated that bright?? IMO the detailing he's done to the car devalue it. Engine repaint and so on should not have been done. It would be worth more left untouched. Now like Kurt says it's a mixed bag. If he wants to sell it he better let it go for the almost 80K it's at. It's at all the money. After 43 yrs, it's normal that it had some maintenance, even with the relatively low mileage; the urethane swaybar bushings indicate that he DID drive it a little, even if not many miles. Whenever I have to remove a part on my car(s) for maintenance, I always clean and if necessary do whatever is required to *preserve* it (ie. eliminate rust, etc). so I don't see a big problem with the man's car; it's the NICEST one I've seen in the past 30 yrs (including all the overrestored, plastic painted restorations). Oh.. and it bid to nearly $87K... and he didn't sell it. Actually, I considered that a good value for the car as well... assuming that all the numbers on the car are correct (which I didn't see in the ebay info)..
Re some of the other comments: My disk brake brackets look very similar to his after cleaning).. and I've still got paint marking residue on the spindles, and my car had 70K+ miles on it by 1980 when I parked it (also in a conditioned garage). His floorboard looks very similar to mine (after I've cleaned mine). PS. I'd rather have that car (or mine) than any restored Z28 I've seen (and yes, I've attended national and regional shows for 30 yrs or more). My point is the repaint of engine should not have been done. Cleaning and replacing parts that need it doesn't bother me however on that car I would have used NOS parts. I agree I'd rather have that car than a restored car. I guess I have a problem with performing maintenance on a part of my car, and finding bare metail (beginning to corrode) that was originally *(poorly) painted, and NOT wanting to protect and preserve the metail. Tje paint that I put on is not original, but when the *original coating/paint* is all gone... do you leave it dirty/rusting/bare? or do you clean, derust, and preserve? Maybe some discussion on this issue will help a lot of us with original cars...? The trunk, header and roof top paint (all horizontal surfaces actually) has dried a lot, spider crazed, faded and some minor oxidation has started. No buffing will take this out. A few very minor door dings that stand out being the car is a dark color. I have to draw a line somewhere when to stop worrying about being original once and restoring the whole car otherwise one can be displaying an original 'sh*tty' looking car. Sure, many like to see original paint, etc but for a very well preserved car, that is easy to do. But, like being original only once, I'm living a life only once so I want to do what I want to do and not necessarily what others say I should do. Looking at resale prices, I don't see enough true survivors to say that they really command the higher resale price. As with anything, a price of worth is what someone will pay for it and from what I have seen thus far people will pay good money for a well restored car vs. an original that is not at the same "pretty" level. I don't sell my cars anyhow but do want to drive them before passing them on to my kids. This is just me and my opinion and I have struggled a lot with the decision of "to restore, or not to restore" but each time I look at the dead paint and oxidation that is starting, I don't want to let rust take over for the sake of being original. ... as an old corvette buddy of mine (who is now gone) once said.. 'This is not a dress rehearsal; we only LIVE once... "
IMO, it seems like there are enough restored cars out there to go ahead and look for one that is already done. I can understand if a car just falls into your lap, you can't help but buy it, if its that great of a deal. It just seems like there are guys out there looking specifically for a unrestored cars, and this is shaping up more and more to be a niche market. Unless you over paid for a unrestored that was in shi**y condition, I would be surprised if you lost money when selling one. 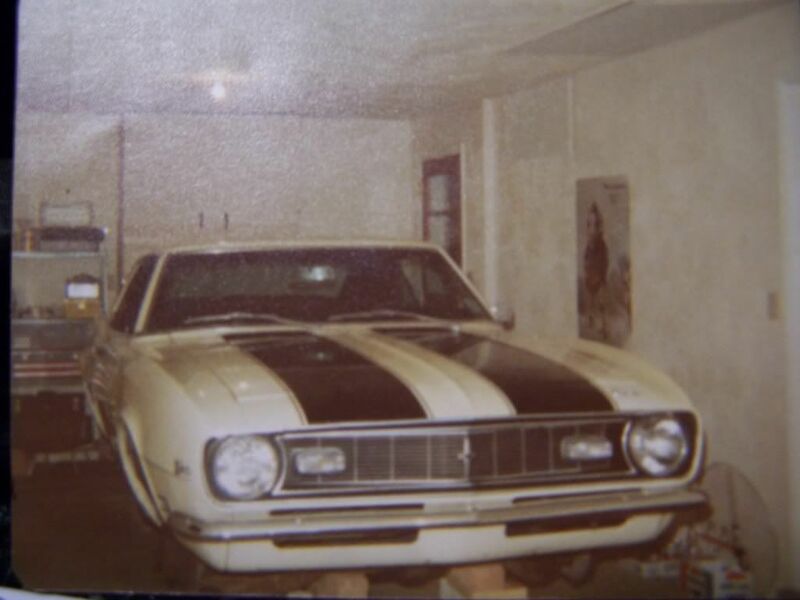 The Camaro/Car guy in me says leave it alone as much as you can and preserve the car in its original condition or sell it to someone seeking that condition, but in the end if taking the journey once again to see a car restored is what gets your rocks off, than its your car to do so. I would somewhat agree with Gary (69Z28-RS) in response to paint condition or rusty areas, although Bills recent purchase of a low milage but poorly stored Z(burgandy) is on the borderline of where I would think you have to delve into certain areas just make sure it doesn't get worse. Today pulled the subframe out from under my car. Glad I did. After getting the fenders off, it really needed attention behind them at the base of the firewall and under the door hinges. It would have been going down hill to have gotten it damp in these areas. The car has come apart nice except some of the bolts where the wheel well mouldings where bolted to the inner and outer fenders. There are places on the car that are as perfect as you could want, like the bottom of the firewall into the tunnel, looks like new. I have pictures I should post but will need to put them in my computer and downsize enough. Just realized it now that maybee our cars where next to each other during production John!